Slower Chinese growth and the fall in oil and commodity prices meant that 2015 was a tough year for many African countries. However, American investor Robert Scharar believes there are still lucrative investment opportunities which can be identified with a local understanding of the markets. He is the president of financial planning and investment firm FCA Corp, and the manager of the US-based Africa Fund, a mutual fund listed on the NASDAQ Stock Market that invests predominantly in publicly-traded companies across Africa. Here are his tips for spotting overlooked opportunities in Africa this year. Economic activities extend beyond national boundaries. One example is the mining activity in Tete Province in Mozambique that has spilled over to neighbouring southern Malawi. Scharar noted FCA Corp has invested in a hotel in Blantyre (a Malawian city situated near the border), which is often occupied by business people working in Mozambique. Scharar advises investors to look beyond Africa’s natural resources and extractive industries. While the continent is rich in minerals and oil and gas, he believes the greatest opportunities lie within the emerging consumer class, which is growing due to improved education levels and urbanisation. Markets in Africa have different levels of financial sophistication. Many comply with International Financial Reporting Standards (IFRS) and investors can easily access company information and get reports from brokers. However, Scharar warns that this information might, in some areas, lack depth. Like most emerging markets, investors need to be prepared for more volatility when investing in African countries. Understanding African markets comes with local experience, says Scharar. 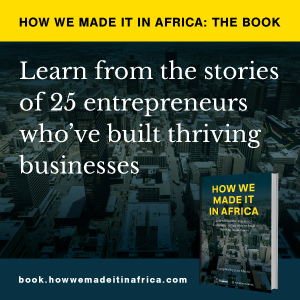 “Until you have walked through a Shoprite or a Pick n Pay (South African grocery retailers with a presence in other African countries), you do not really have a comprehension of what those business are, or their products and how they fit into the local market. So you need either your own boots on the ground or the boots of other people who can share with you information about what is really acceptable from a business opportunity [perspective],” he continues.